Cyclists across the UK can register for the Wheels for Change fundraising challenge. Seven 100km cycling events are taking place simultaneously on Saturday 24 May 2014, from multiple Barclays Premier League sites, promising to provide sports fans with a fantastic challenge, as well as the opportunity to raise funds for UNICEF, the world’s leading children’s organisation. Wheels for Change, in aid of UNICEF and supported by Barclays, is aiming to raise more than £500,000. The money will help young people in some of the world’s poorest countries build a brighter future for themselves and their communities. UNICEF will use the funds raised to provide start-up funding and grants to help disadvantaged young people get their small businesses started. • Birmingham Road, outside West Bromwich Albion’s The Hawthorns. Funds raised through Wheels for Change will enhance the work of the Barclays and UNICEF Building Young Futures partnership. The global partnership, which began in 2008, provides disadvantaged young people with the employability, enterprise and financial skills they need to find work, or set up their own small business. 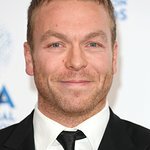 Sir Chris Hoy said: "As a UNICEF UK Ambassador, I’m proud to support Wheels for Change. To register and find out more including how your money could help, visit the Wheels for Change website: www.wheelsforchange.co.uk.